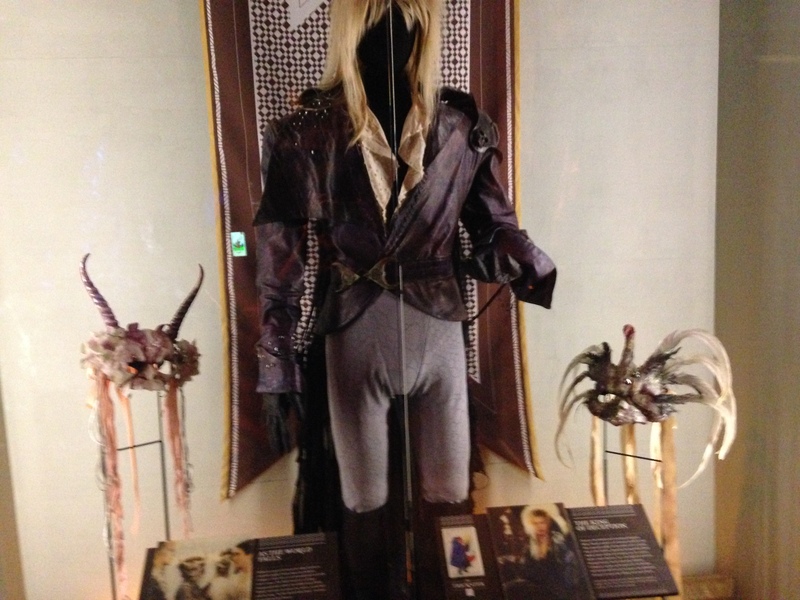 One of the other exhibits we saw at the EMP Museum was the Fantasy: Worlds of Myth and Magic. I love Science Fiction and Fantasy. Both of these genres have the ability to transport you to an entire new world. I discussed the Horror exhibit yesterday and that was fantastic. The Fantasy exhibit was so much better partly because I got to totally geek out on my fandoms, but it was also a really interesting exhibit. One of the best parts of the exhibit is that you are literally transported to a new world hidden behind a door. The door looks so innocuous and at first we were not even sure if it was the way in and not just a display. Then you open the door and it is like stepping through the door to Narnia or running through the column to platform 9 3/4. You are suddenly in a place where magic can happen. As you walk through the exhibit you get to go through the enchanted forest, the dungeons, the arcane library, and the mythical armory. 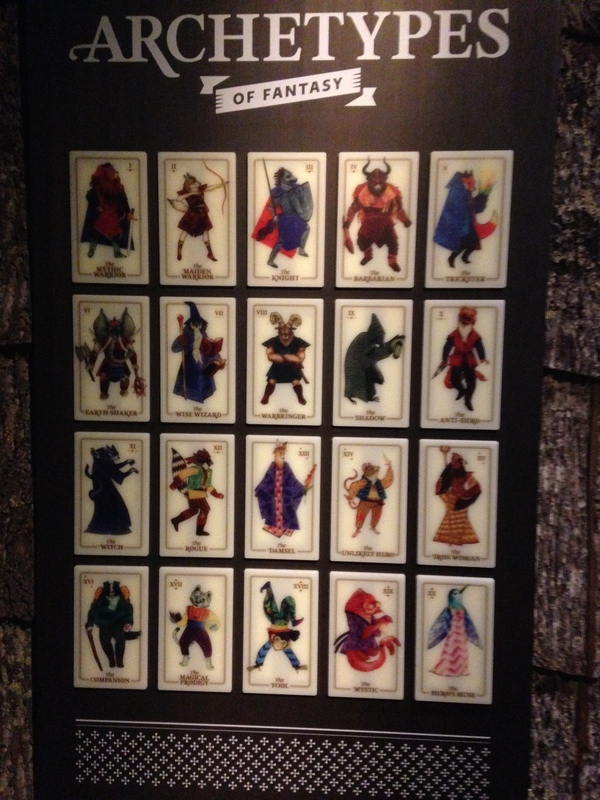 The various pieces of the exhibit take you through the world of fantasy, from the characters, to the worlds, to the items use on the characters journeys. The next part of the exhibit discussed building Fantasy Worlds. It is not only about building the environments that make up the worlds, with the costumes, castles, looks, but also the maps that are created. One of the great pieces was being able to create your own map. They had an interactive game where you could create maps for a variety of different Fantasy worlds. Then you could look at the worlds that other people had created and even name the world whatever you wanted to. It was a fun exercise in thinking about how hard it would to actually just create a new world and map with locations. It would be incredible to create a whole map from scratch, thinking of land masses, castles, mountains, rivers, etc, and then deciding on the location names. Of course the really fun reason to go to the exhibit is all the neat artifacts from the various movies and tv shows that we love. There was a little bit of everything, which is part of what was so great. Pretty much whichever type of fantasy you were in to there was probably something for you. It had various costumes and the swords were really neat. It is always interesting to see costumes and props outside of their movie moments. It was a great time to be able to complete geek out. 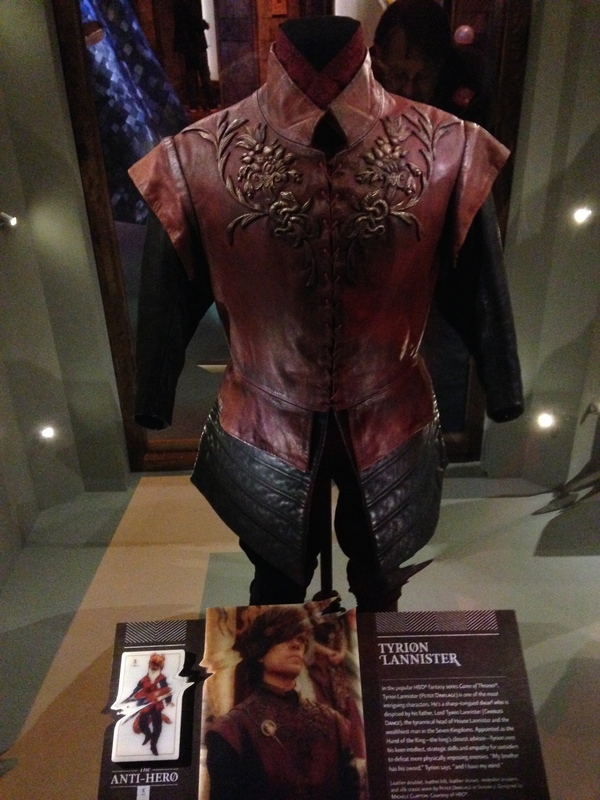 This entry was posted in IRL and tagged Chronicles of Narnia, EMP Museum, Fantasy, Game of Thrones, George RR Martin, Harry Potter, Labyrinth, Patrick Rothfuss, Princess Bride, Wizard of Oz. Bookmark the permalink. 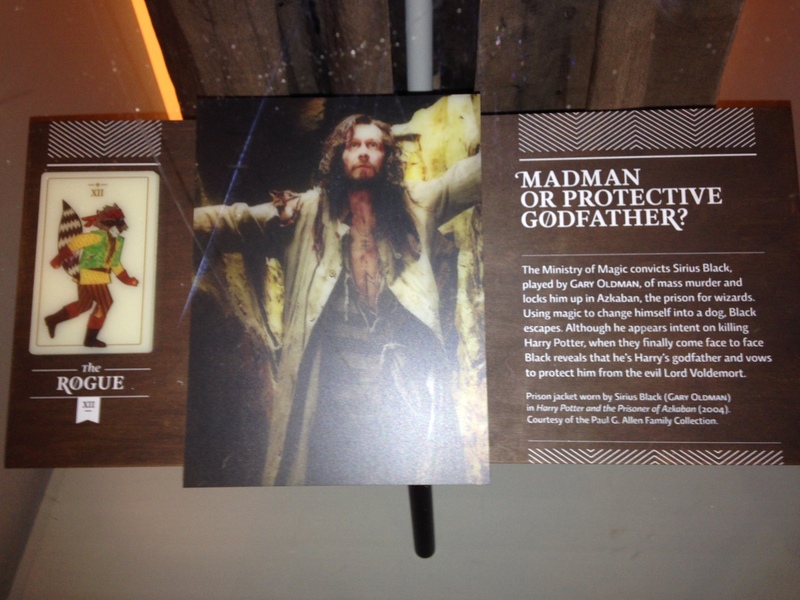 This is one exhibit I would thoroughly enjoy! Thanks for the comment. If you can get to Seattle I would recommend it. Seattle is a pretty near city too. It is so good. Just have to get to Seattle which is a great city. It would be really fun to see which archetypes you belong with…which one were you? I believe we both got the Anti-Hero, but I also got the Rogue. Along with Holly’s comment about there being women included in pretty much every archetype (where they only presented 5 characters for each), they also included a lot of anime characters, and some from games even, as well as Greek mythology, and recent fiction… So you had Mystical Warriors like Aang (the Last Airbender) and Kvothe (from the Kingkiller Chronicles). And a bunch of Miyazaki characters, so like Lady Eboshi sitting there with Cersei Lannister as the Iron Lady. So good. If you go to this exhibit, the display in the first room where you can look at all the archetypes… we watched every single one. Worth it.